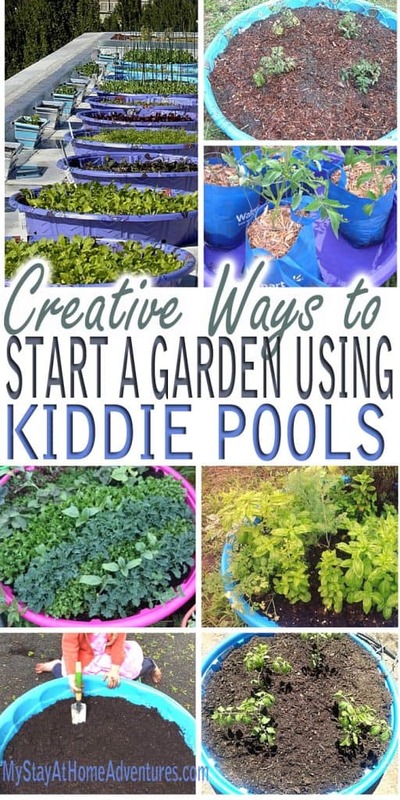 As I am trying to expand my garden this year, I have come across some creative ways to start a garden using kiddie pools. Yes, kiddie pools; and honestly, if I would have known this, I probably would have extended my garden last year. 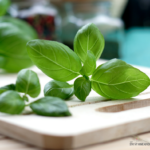 The truth is that with baby number 4 arriving late in spring, I have decided that I needed to expand my garden to grow more vegetables and herbs. I have decided that I really needed to utilize what limited space my small yard provides. 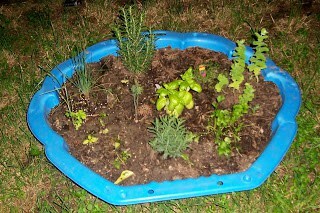 It never occurred to me that when I decided to start a garden, using kiddie pools would have saved me time and money. This is when the idea of kiddie pools to use as containers has become set in my mind this year. 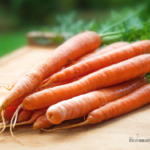 I believe that this is a great way for us who have limited space to grow a veg garden. 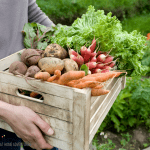 If you are a beginner gardener, check out these beginner gardener mistakes to avoid and start growing your garden. Remember, starting a garden doesn’t have to cost tons of money, it just requires your time which I will say that you will enjoy. 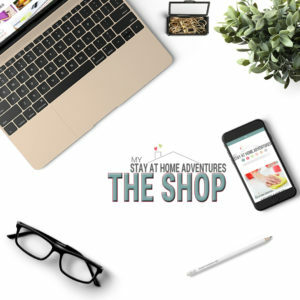 If you need any inspiration on how to start a garden on a budget, I have written about this and you can find it here. 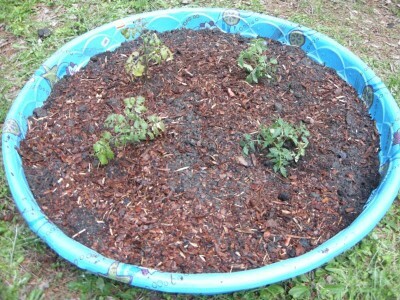 I hope you are ready for these amazing ideas to use a kiddie pool for your garden this season. I never knew you could grow a garden in bags, don’t believe me, check out this system from Off The Grid. 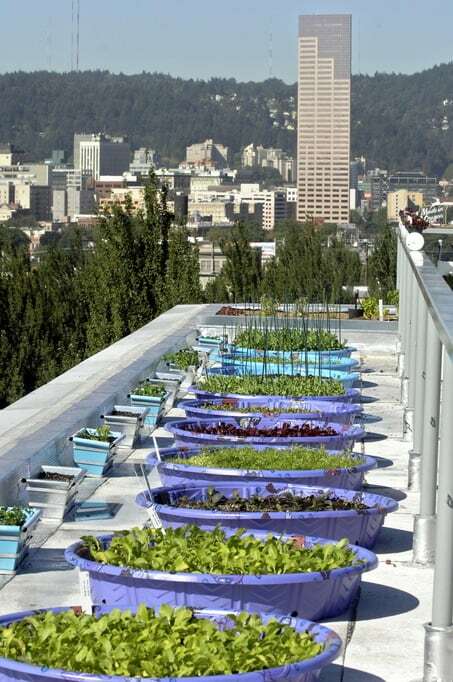 I enjoy reading how urban areas start a garden, and this one happens to be in a roof of a building using kiddie pools. 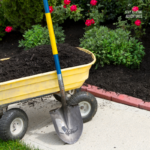 This will show you how to create raised bed gardens in 30 minutes with photos and all! 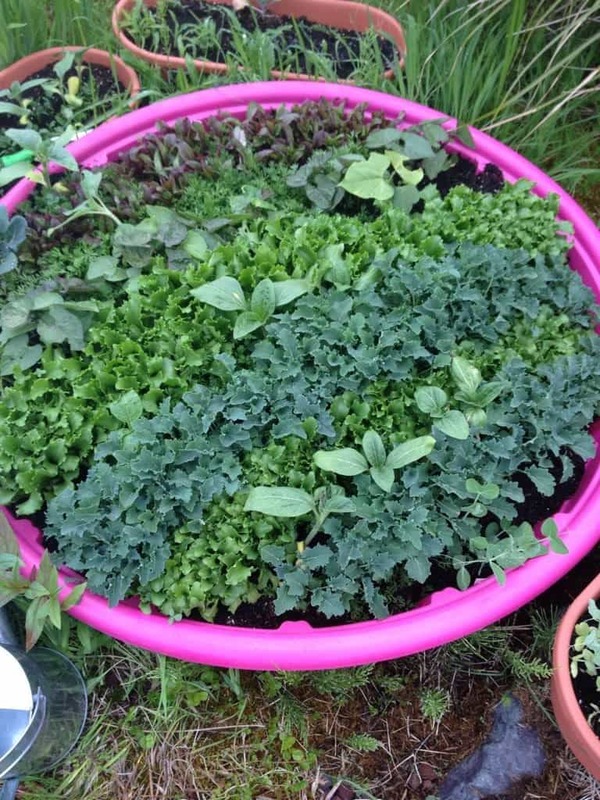 Grow kale, spinach, beets, and more successfully in a $8 kiddie pool! 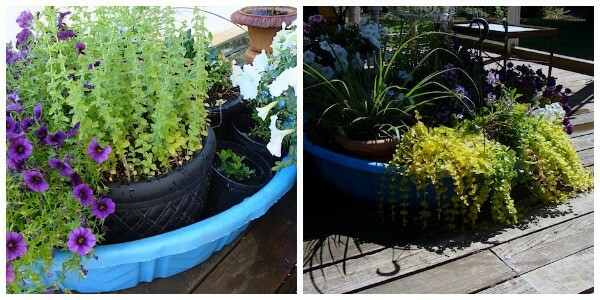 Kiddie pools can be used to help you keep your plants watered; learn more here. 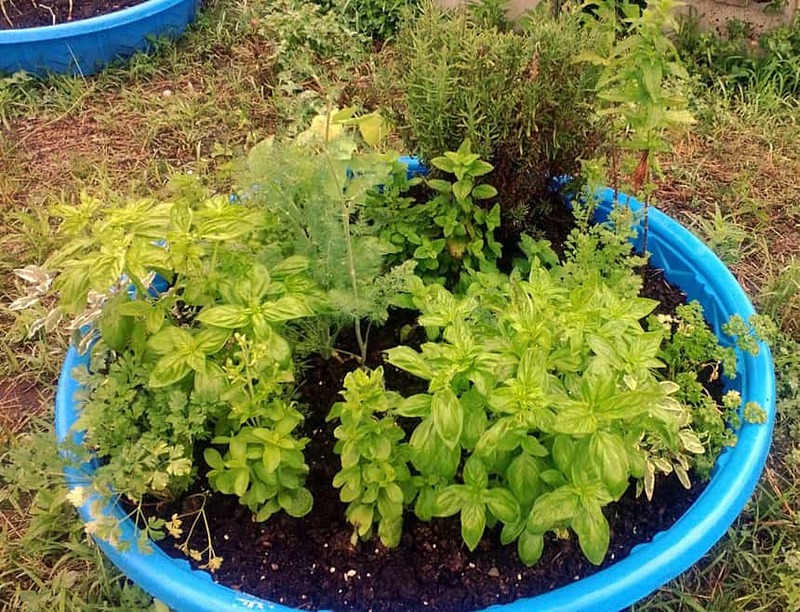 Learn how to reuse kiddie pools and fill with herbs! 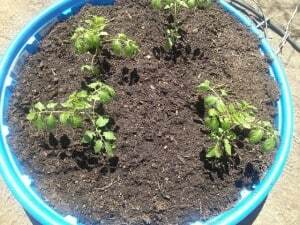 Do-It-Yourself: Kiddie Pool Vegetable Garden! 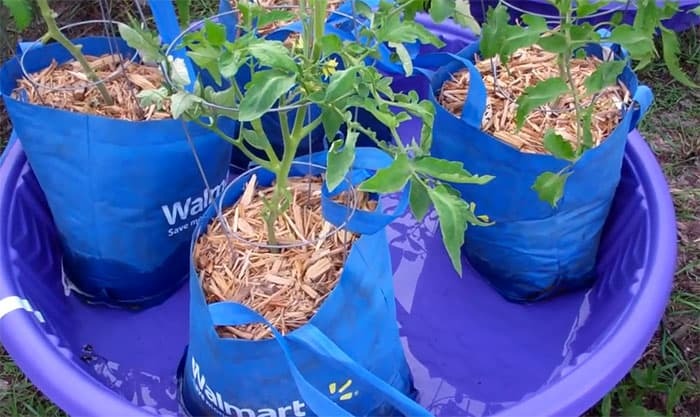 This tutorial shows you how to grow tomatoes and peppers in a kiddie pool. You can also find another tutorial here too! 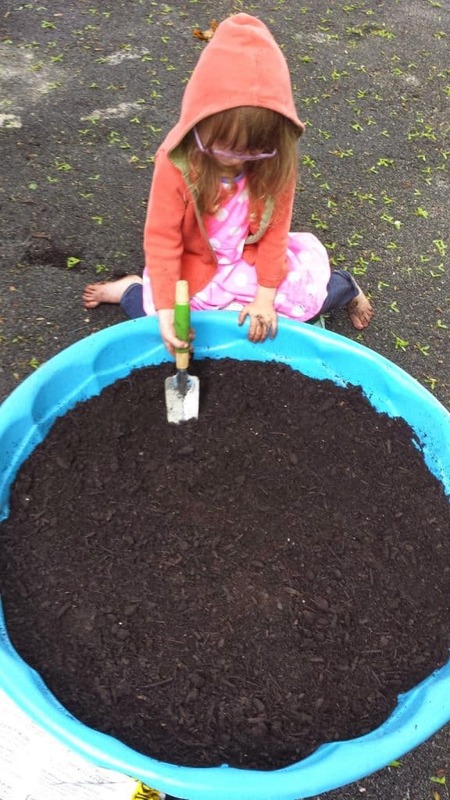 With your kids help, create a garden and teach them about gardening. I like this idea, and if I wasn't pregnant, I would actually do it this way. Love gardening? 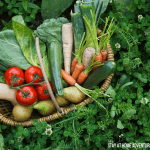 Check out Organic Vegetable Gardening for Beginners! Wow, add that to the list of things that I never ever would have thought of. Great ideas! Thank you! I seriously never thought about some of them and we are really thinking of using them. This is such a great idea to epicycle a pool your child has outgrown. It is and quite honestly I didn’t think about using it to raise our veggies this year! What a great idea! We don’t really have space in our yard for a garden but some of the veggies (like squash) don’t grow in a pot. I haven’t tried growing squash. I think I’ll try it for herbs this summer see how that goes. Still planning my layout. Thank you for stopping by! Awesome round up of swimming pool gardens. I had no idea this was such a popular thing. brisbane where im from has hard rubbish throw out days for every suburb, and literally HUNDREDS of kiddy pools end up with a hole maybe, on the side of the road…. 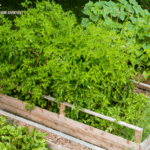 freeeee as a bird, so i am SHOCKED i haven’t thought of this already.. maybe im just lazy or thought i would get to work more on mly garden at this rental house.. this is great for people who wont or cant commit to planting in the land they have temporarily..